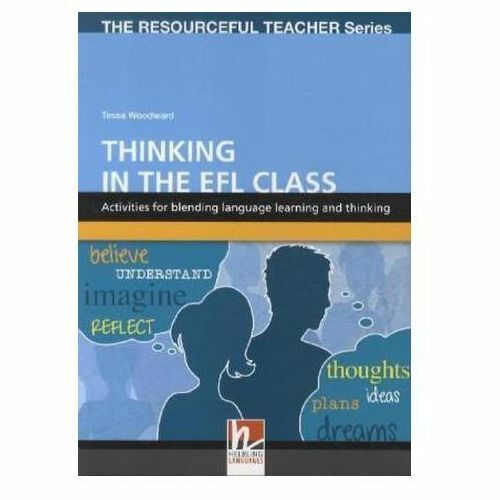 Thinking in the EFL class cuts a clear workable path for EFL teachers through recent developments in teaching thinking for all ages and in all school and college subjects progresses to the fundamentals of building a positive class atmosphere for communicating well and in English. Offers over 30 well-thought out, realistic tips for teachers and over 85 practical, easy-to-use activities for language classes. These tips and activities encourage flexibility, fun, creativity and rigour in teacher and student thinking. They involve minimal preparation and a wide range of interesting topics. Most of the activities are multi-level and adaptable from elementary to advanced students. Many integrate the skills of listening, speaking, reading and/or writing. Is extremely valuable in helping teachers stay interested in their work and in helping students cope with the demands of learning a language and living in a restless, changeable world. Also provides teachers with ready-to-use handouts, freelz downloadable at www.helblinglanguages.com/thinking/downloads in both PDF and DOC format. Resource Books for Teachers: A new methodology series that offers teachers, teacher trainers and teacher trainees a discussion of new developments in various areas, such as linguistics, pedagogy and cognitive psychology and suggestions on how to use them effectively in class.